This is the second part of a two-part series on the movie The Fountain. Click this link to read the first part. Then you shall take this ring to remind you of your promise. You shall wear it when you find Eden, and when you return, I shall be your Eve. This could mean that knowledge is the salutary act (its object being the acceptance of death), and that the quest for immortality is above all a return to the heavenly age for the first Man and the first Woman. Such a quest aligns with the goal pursued by the Inquisition, which fiercely opposed the heretics, while wanting to propagate orthodox Christianity during the 15th century. The Holy Trinity appears on several levels: Thomas, the woman he loves, and the love that unites them, but also the three characters throughout the ages, or the First Father and his various manifestations (Tommy, Tomás, and the tree of life). Queen of nothing but her sins. What will you do with her? She too will confess, and then she too will die. As for Izzi, she equates herself with the Holy Spirit — who invites Thomas to turn to God for forgiveness and a new life when she explains him the nature of her liberation through the acceptance of her own death. The names of the three characters are just as interesting. In the New Testament, Thomas the Apostle remains skeptical when he heard of the resurrection of Jesus. It is then by professing his faith that he acquires the name of Thomas the believer; Thomas’s last name is Creo, which means “I believe” in Spanish. This contrasts with Thomas himself, who is doubtful about Izzi feeling of liberation and solace through her death, which he only deems as denial, and refusing to accept the drama that awaits her. Facing a great loss, Tommy in the future accepts death, thus professes his faith. Note that Thomas the Apostle traveled great distances — to India — similarly to Tommy who travels far from the Earth, towards Xibalbá. The symbolism of the tree can be read on several levels: shamanic ascension — especially at the end of the film — Tree of Life in Kabbalah, representing the Laws of the Universe, but also the true symbol of creation of the both microcosm (humans) and the macrocosm (the Universe). The tree also represents an axis mundi, that is, a mean of communication between the heavens, the earth, and the subterranean world. As such, the rise of the protagonists can be conceived on a vertical scale: Thomas is lost in the material world (the lower level), before rising when he accepts his death. In doing so, he attains higher levels of existence, while at the same time experiencing intermediate levels (degraded emanations of light according to Kabbalah). In the movie, this is represented through wonderful scenes representing this tree when the hero transcends his mortal condition. There exists in the Tree of Life a matrix structure that orient and guide the pious devotee. The movie depicts such matrix, since Tommy deeply meditates on the meaning of life, and tries to unravel its mysteries. The tree thus contains the secret of eternal life and emanates a primordial light that allows the living to be realized in an absolute transcendence. Such illumination is completed by Tommy when he pierces the mysteries of a destiny he thought to be a fatality. Besides, Tommy climbs the tree before taking flight and piercing the bubble that held him prisoner. This release is the symbol of a true rebirth, or second birth, allowing Tommy to realize himself fully. The cyclic structure of the film captured my interest. Cycles of destruction and recreation is something I talked about in this article. 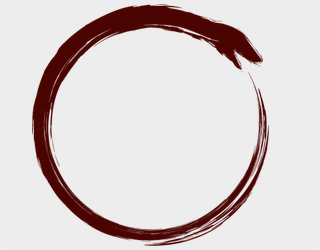 This is a classic theme in Eastern philosophy, which conceives of time as being cyclical and non-linear: Life breeds death, which in turn breeds life, both intimately linked. In the movie, Tommy has concentric rings on his body, symbolizing the perpetual cycles, similarly to the trees growth rings. And when Tommy travels to Xibalbá, one notices the succession of concentric rings that literally illuminate his journey. The “vessel” in which he travels is himself a sphere, a three-dimensional version of the circle. The circle, or ring, is also the symbol of union: Thomas loses his alliance, while Tommy finds it, which allows him to complete his union with the woman he loves. Let’s discuss the Popol Vuh, the creation story of the K’iche’ people, which Izzi refers to several times. The presentation of this myth will allow me to trace the similarities between the Popol Vuh and the myth of creation narrated by Izzi. “Popol Vuh” could be translated as The Council Book, The Book of the People, or literally The Book of the Mat. The Popol Vuh is an Ilb’al, which is translated as an instrument of sight, or instrument of great clarity. The writings were probably translated between 1545 AD and 1550 AD, at a time when the ancient beliefs and practices of the Maya were considered heretical by Catholic missionaries. The creation story contains four parts, which narrate the creation of the world and the successive attempts of the gods to create human beings. The second narrative narrates the epic of the celestial twins Xbalanque (Jaguar Sun, Hidden Sun, or Jaguar Deer), and Hunahpu (One-Blowgunner), and their triumph over death (called Vucub Caquix, which could mean Seven-Macaw). The Popol Vuh reveals the order of the world as perceived by the Maya, namely three planes of existence: the heavens, the earth, and their underworld, all three connected by a cosmic axis. Humans and animals inhabit the earth, while the heavens and the underworld belong to mythical gods and heroes, traveling from one plane to another through the cosmic axis. We must make a provider and nurturer. How else can we be invoked and remembered on the face of the earth? Because it has not been possible for you to talk, you shall be changed. We have changed our minds: Your food, your pasture, your homes, and your nests you shall have; they shall be the ravines and the woods, because it has not been possible for you to adore us or invoke us. There shall be those who adore us, we shall make other [beings] who shall be obedient. Accept your destiny: your flesh shall be torn to pieces. So shall it be. This shall be your lot. In their second attempt, the gods bore a new generation of humans from dirt and from mud. Alas, once again, this attempt failed because this generation of humans was unable to reproduce. It was not good. It melted away, it was soft, did not move, had no strength, it fell down, it was limp, it could not move its head, its face fell to one side, its sight was blurred, it could not look behind. At first it spoke, but had no mind. Quickly it soaked in the water and could not stand. [they] did not have souls, nor minds, they did not remember their Creator, their Maker; they walked on all fours, aimlessly […] Immediately the wooden figures were annihilated, destroyed, broken up, and killed. A flood was brought about by the Heart of Heaven; a great flood was formed which fell on the heads of the wooden creatures. The gods are left alone to glorify themselves, which led to the ascent of the deity Vucub Caquix who thought of himself too highly. The second part tells the story of the celestial twins, wishing to avenge Vucub Caquix. Through a series of tricks, the twins manage to kill the deity, thus restoring order and balance in the world; the third part recounts an episode preceding the victory of the twin brothers; it relates the adventures of the father and the uncle of the twins, Hun-Hunahpu and Vucub Hunahpu, sons of the gods who tried to create the first men. Tricked by Vucub Caquix, the father and the uncle accept an invitation to a ball game which was taking place in Xibalbá. Vucub Caquix manages to murder the twin’s father before placing his head on a calabash tree. The head allows the dried tree to grow, and to become a vertical axis. Then they rose up in the midst of the light, and instantly they were lifted into the sky. One was given the sun, the other, the moon. Then the arch of heaven and the face of the earth were lighted. And they dwelt in heaven. From Paxil, from Cayala, as they were called, came the yellow ears of corn and the white ears of corn. […] And thus they found the food, and this was what went into the flesh of created man, the made man; this was his blood; of this the blood of man was made. So the corn entered [into the formation of man] by the work of the Forefathers. And in this way they were filled with joy, because they had found a beautiful land, full of pleasures […] and from this food came the strength and the flesh, and with it they created the muscles and the strength of man. This the Forefathers did, Tepeu and Gucumatz, as they were called. After that they began to talk about the creation and the making of our first mother and father […]. Only dough of corn meal went into the flesh of our first fathers, the four men, who were created. These first men were perfect and enlightened beings, able to see and understand, gifted with clairvoyance. But such a perfection disturbed the gods, not wishing men to possess the same gifts as themselves. They therefore decided to turn the first men into mortal beings, imperfect, and unrealized. The gods gave men wives, and men and women united and procreated, planted crops, and honored the gifts of the gods. The last part ends with the story of the migration of the K’iche’ people, and their genealogy; we also learn about the feathered servant, Quetzalcoatl. In The Fountain, the myth of creation slightly departs from the Maya myth, because in the Popol Vuh, Xibalbá is a court in the lower world, and not a nebula. Moreover, the twins did not create Xibalbá by suspending the head of the First Father in heaven, even though the idea of ​​death as an act of creation — as proposed in the film — comes close to the creation story, since by spitting the seed on the hand of the maiden, the head of the father makes it possible to give birth to the celestial twins. If in the movie, the tree gives birth to life on Earth, the Popol Vuh teaches how the world is created by six deities, who infused their spiritual essence in order to give the Earth its creative energy. In order to separate the sky from the Earth, they placed the calabash tree, and left enough room for life to emerge; then following the creation of the tree, the deities created the plants. […] he told me about his father who had died. […] He said if they dug his father’s body up, he would be gone. They’d planted a seed over his grave. The seed became a tree. Moses said his father became part of that tree. He grew into the wood, into the bloom. And when a sparrow ate the tree’s fruit, his father flew with the birds. He said death was his father’s road to awe. That’s what he called it. 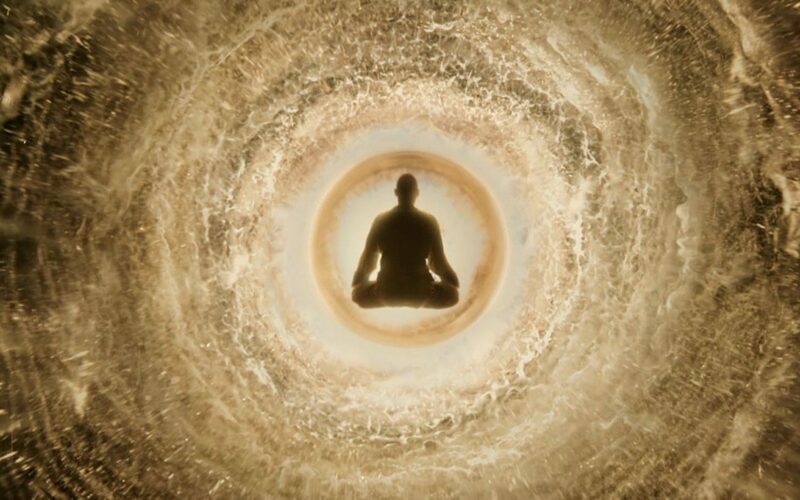 To conclude, The Fountain is a multi-tiered masterpiece, as Aronofsky’s sensitivity allows him to explore the human condition of life and death and offer a unique vision. He offers in The Fountain a deep reflection on the confines of human existence, and the passions that animate the characters puts forward an unlimited obsession against Life and against Death. Paradoxically, his work brings out an innovative hope against the most painful of fatalities: If death hits without any warning, and if it annihilates all hope, it also allows the emergence for spiritual transformation, a true but necessary disruption. The film blends with subtlety reality and fiction, especially through scenes that sometimes resemble the quest of Thomas, sometimes the one of the characters in the novel by Izzi. This allows the themes to appear as existing outside of time. The tree of life, which is the common theme of the three eras helps us to understand that there is more than one interpretation for the movie. Basically, it does not matter in detail what the movie is about, perhaps because the unified themes provide a coherence that illuminates our understanding of life a little better. What can be understood as an odyssey through time and through the cycles of life and death is above all an odyssey through an inner journey, a real and salutary quest for the mysteries that haunt our existence. The richness and emotional depth allow us to understand how the death anxieties affect us at any level of existence. The Fountain offers a sensitive reading on the most important of personal journeys, namely the fear of death. Our scientific discoveries offer little certainty in the face of this phenomenon, and those fears seize more than one; stripped of all securities, the journey is above all a personal quest with which everyone must compose. Thomas understood this when he realized that he had to endure the quest alone, and that no one would to do it for him. Therefore, the true submission to finitude becomes the acceptance of an earthly condition which allows Death to give birth to Life. The existence of this tree as distinct from the Tree of the knowledge of good and evil is still to this day subject of debate. On this subject, see Karl Budde, Die biblische Urgeschichte (Biblical Prehistory). Giessen, J. Ricker, 1883.